Today we’re looking at making a short film. Let’s start at the beginning and examine getting ideas for making short films. 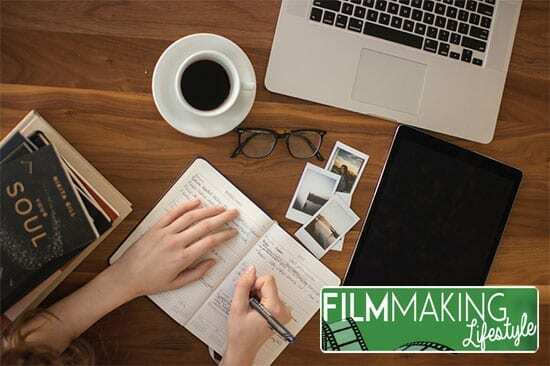 This article will cover the different methods for coming up with short film ideas, and how you can put these to use in order to make a fantastic short film. Filmmaking can be a lot of fun. The satisfaction you get after making a successful film cannot be described. But this isn’t to deny that there aren’t any challenges with filmmaking. Right from the ideation, planning for the idea, the pre-production, finally producing it with the right light settings and then eventually the editing process. For most filmmakers I’ve talked to, coming up with a creative idea for a short film is often the toughest part. Especially when you’re skilled at filmmaking, the only obstacle can be to come up with a solid idea that will work. Often, what might appeal to you, might not necessarily be as exciting to the audience you’re targeting. And with the amount of resources involved, you definitely do not want to waste time filming and then later realizing it won’t do that well. 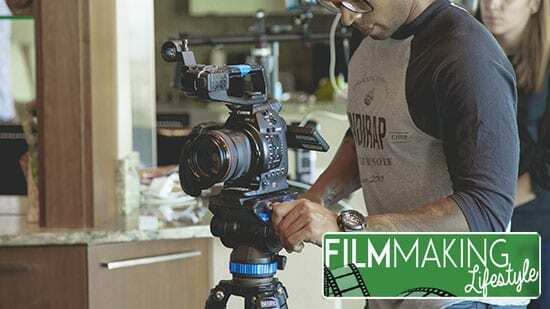 So how do you come up with solid short film ideas that your audience wants to watch? You will need to brainstorm on the basis of a few parameters to come up with a winning idea. Let’s discuss more on them below. People can have a lot going on in their life. There are so many inspirational stories out there that you can take a cue from. Successful people who have fought all odds to finally be where they are. The sacrifices they’ve made to bring a smile upon their loved ones’ faces. The list is endless. You can use their life stories as inspiration for your short film. But you need to get their approval, of course, before adopting it into a film. A good idea is to tweak the details but keep the main essence of the story intact. This is how a lot of Hollywood movies do it. You can also use your own experiences for coming up with an idea. Any tough situation you faced or an unusual encounter you had in your life can be great ideas for a short film. It is important however, that you tweak the facts enough to make it a work of fiction. You can have an opposite take on an already existing idea. Either it can be for the main story or the starting and ending. Effectively you need to change the outcome of the story. You can also use this strategy to take an already existing and popular idea and flipping it to give an entirely new perspective. Something that goes against the common concept. Try that. You can come up with some entirely new ideas. A winning idea can hit anytime, especially when you’re finding one proactively. Many times, if you’re not noting the ideas as they come and think of writing them down later, you might miss out on. Chances are that raw idea that came to you while cooking can be refined further to become a winning idea. So whenever possible, carry a small diary with you. When an idea comes to you, whether it is great or ordinary, note it down. At the end of the day, you’d be surprised at the number of small ideas you would have noted down. In case you don’t want to use a paper diary, you can always use a notepad app on your smartphone. 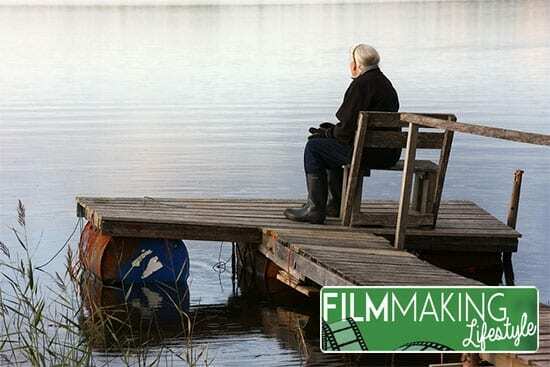 There have been success stories of some filmmakers who have made good use of other mediums like poems, the inspiration behind a piece of art, folklore or even museums. And there is no dearth of other spectacular pieces of art. Choose a painting or a photograph, find out the story or inspiration behind it and use it as an idea for your short film. Most of the times, you’ll have something interesting to build from. Especially if it art from a popular artist. Personally, my favorite are poems. Poems are short, and to the point. You can come up with a solid short film plan since poems leave a lot of room for further expansion and improvement. 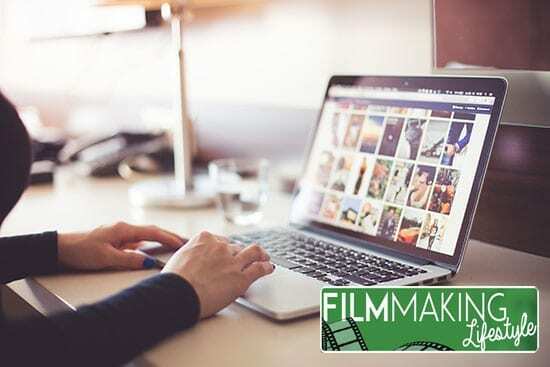 Another way to generate successful short film ideas is to spend some time in filmmaking forums online or offline in the midst of other filmmakers. You will be able to draw some inspiration; find out what ideas work and be able to build your ideas on them. You can also build some connections in these forums which might later develop into a collaboration or just some friends in the industry who can help each other come up with different ideas or solutions to problems. Most of these forums are free to join. You can check out some of these here and here. One way of coming up with interesting short film ideas is to go down your ancestors’ history. You can get some great ideas from incidents in your grandparents’ or great grandparents’ lives. Now there is a reason for this. Our ancestors lived in a different time than ours. Things were quite different back then. Technology had not made its foray into human lives yet. And so people used to have a variety of rich experiences in life. For example, my grandfather used to narrate stories of unusual occurrences when he used to go hunting in the forest. Like that one time when he encountered a bear and was woken up from his stupor by the bear’s growl. Luckily he survived that. Or the ominous knocking at the cabin log door deep inside the forest that he and his friends were staying in to take refuge from the rain one night. If you have multiple members in your team, ask them about their family’s experiences. Believe me, you can get some really interesting ideas. While this might not help you to come up with some novel idea, it can surely help you narrow down. 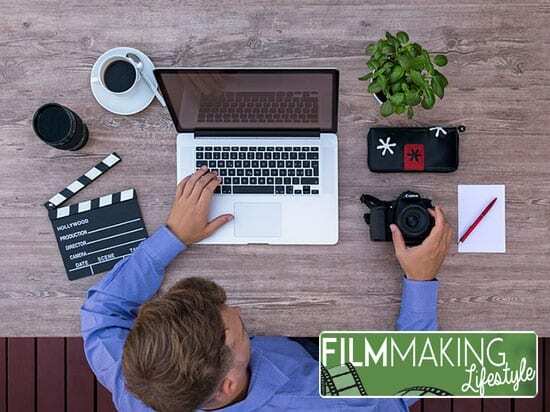 After you’ve come up with some ideas, the final selection will be based on the resources and the amount you can spend on the making of the film. Resources here can include any locations you have access to or the equipment and props that you can use. 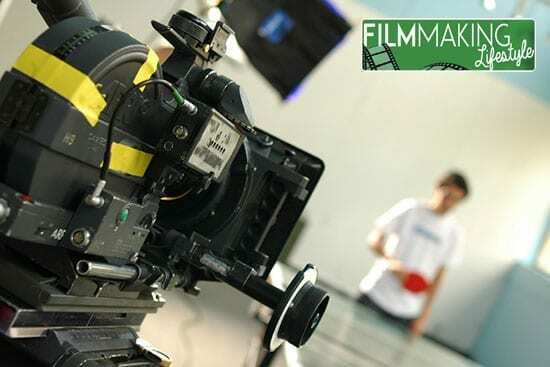 If you’re starting out, it makes sense to choose the right equipment like your professional video camera, lighting and sound equipment carefully, because that will play an important part in finalizing on your short film idea. You might have a spectacular idea, but if you don’t have sufficient resources to back it up, you have to select the next most probable idea on the list. That’s one of the limitations when you’re starting out as an independent filmmaker. Often, sitting down primarily to generate ideas by brainstorming can do wonders. Mindmapping can also work great. Many creative professionals use mindmapping to come up with great ideas for their work. Sit with a paper and a pen. Write about all the ideas, your passions, any inspiration, day to day experiences on the paper. Keep branching out into further ideas. Each idea is linked to what? Keep diving into it. You’ll be amazed at the plethora of ideas that you can come up with by just sitting quietly and writing your ideas on paper. Here’s a detailed explanation of the mindmapping method to come up with creative ideas. 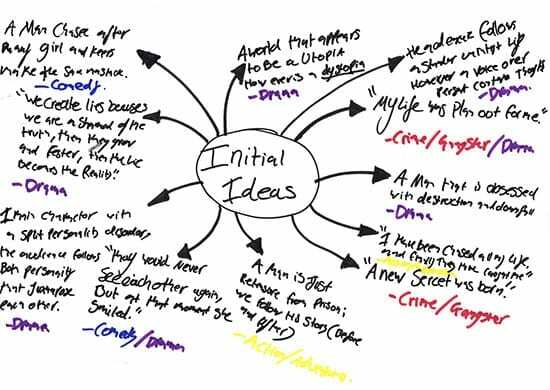 And here’s how you can come up with ideas for short films and stories through mindmapping. The very concept behind a short film is the development of a story around a single central idea. You don’t want to include a complex storyline with different angles and scenarios. The essence of the idea that you have chosen needs to be presented in a very clear manner. If you include other complex angles in the movie, the short length of the film makes it difficult to communicate the other angles to the viewer effectively. Ultimately you lose the whole plot of the movie. So it’s always better to keep in mind the acronym KISS – Keep It Simple Stupid! These are 9 points you can keep in mind while looking for ideas for a short film. I’m sure you can use them to come up with some really interesting short film ideas. Do you have any techniques for coming up with ideas for short films? Do let us know in the comments! Nalin is a photo and video enthusiast and runs a blog on videography at What Camcorders. Of late, he has developed an interest in Filmmaking and planning to branch out into filmmaking as well. In his free time, he likes to travel, read and binge on Netflix! What kind of ways do you rate a short film idea? Taking it one step further. Like what’s more likely to sell – horror, drama, thriller? How do you rate each idea? Really depends on where your strengths lay. All those genres you mentioned have a market. It’s more about what you have an interest in and what you have the skill to make.